any time and without further notice. 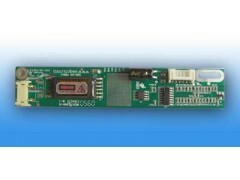 This DC-AC Inverter was developed for 1CCFL lamps Use. between the inverter and the metal parts to avoid the situation of breakdown or arcingetc. twist , deform , drop or knock the inverter during assembly. take care about ESD at anytime . All mentioned trademarks are registered by SAQCN.